So, let's start with Ketu through houses. Today, Ketu in 1st house. So, when Ketu comes in to 1st house, 1st of all it makes a person to feel isolated about himself. This person is confused about his identity and continuously seeking self. He is never sure about himself, so this person always looks at other people at 7th house to give meaning to his life and make him feel complete. 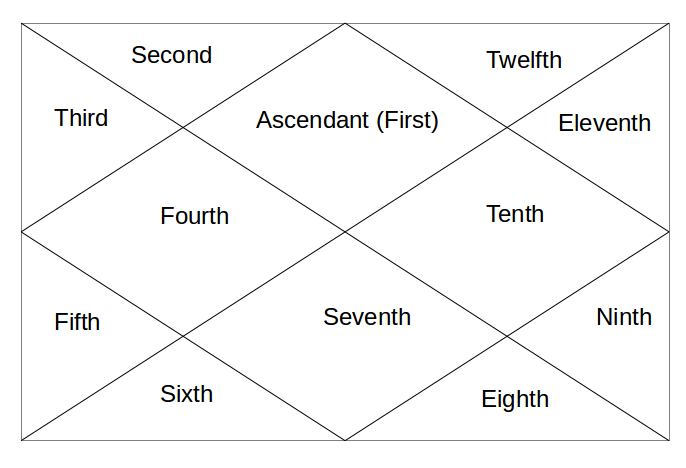 If Ketu is in conjunction with Moon in Ascendant/1st house then this person can have great mystic abilities. Ketu in 1st house can make a highly spiritual person, mystic or a spiritual healer. They surely possess some psychic abilities. But their biggest quest remains finding themselves. From 1st house, Ketu aspects the 5th house of education, children, sports, entertainment etc and 9th house of higher education. This makes the person to draw towards higher education of various subjects so that he can have an idea towards himself. Tomorrow, Ketu in 2nd house.